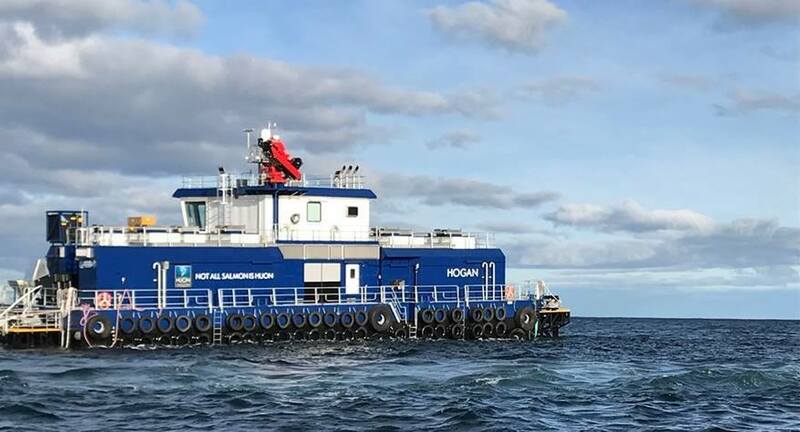 Huon Aquaculture christened the “Hogan” – a AUD 10.5 million (USD 6.6 million) barge designed for their exposed fish farm in the world at Storm Bay in Tasmania, Australia, back in December. 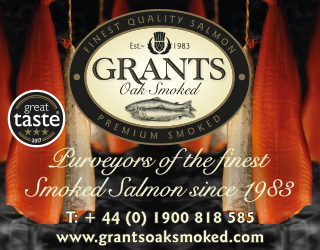 “In typical Huon style, it was a mammoth team effort to get to this point so bear with our laundry list of people and teams to thank,” wrote the Tasmanian salmon farmer in a Facebook post on Thursday. Huon was celebrating its the barge’s first feedwork. “Hogan” has been described as the Southern Hemisphere’s most “technologically advanced”. The “Hogan” is built to withstand some of the most exposed, highest energy leases ever farmed in the world, with the capacity to produce in total between 8,000 and 16,000 tonnes per annum. 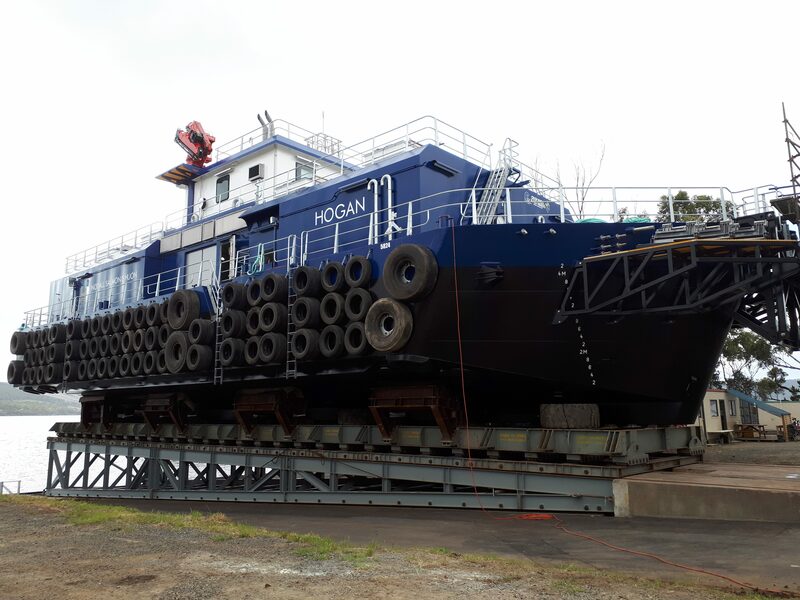 The “Hogan” was designed by Huon Aquaculture in collaboration with AKVA and Crisp Bros. and Haywards (and was built by Crisp Bros. & Haywards). “Earlier this week, Dave Main, one of our Senior Control Room Operators, had the honour of the very first feed using the barge,” the company added in the post.